There are so many forms of acupressure treatment for different forms of stress and anxiety related issues, but for today I will deal with just one very important exercise aimed at treating stress. Now, bend your head backwards and put your thumbs on top of your neck, just below the base of your skull, say three inches apart. You should press very well on these spots but in a gentle approach just below the skull. But if your thumbs are aching, use your knuckles instead. As you apply the pressure, take three to five slow, deep breaths. As you are finishing, gradually let your hands float into you laps while letting your chin drop gently onto your chest. Take one more deep breath and check out your body to know how you really feel after this brief but far reaching simple exercise. 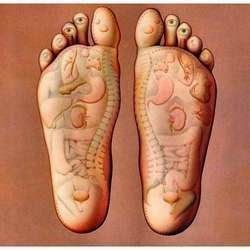 Learn to practice this method of acupressure from time to time because it is highly therapeutic; and will definitely help you to take care of your stress and any stress induced conditions.